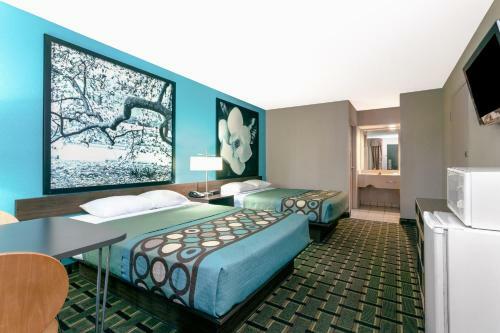 Rooms from $52.70 per night. Description This Brunswick, Georgia hotel has an outdoor pool, non-smoking guest rooms and free breakfast. 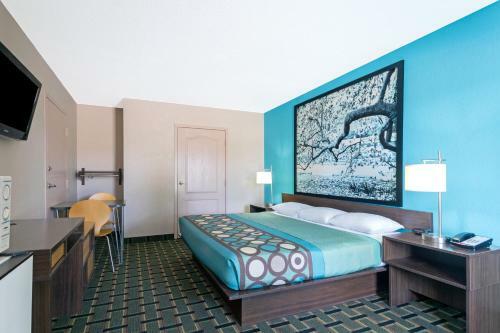 Free amenities such as breakfast an outdoor pool and easy access to Jekyll Island and downtown cook up a super deal at chopped prices at the Super 8 Brunswick/South. The two-story Super 8 houses 52 rooms accessible via exterior corridors. 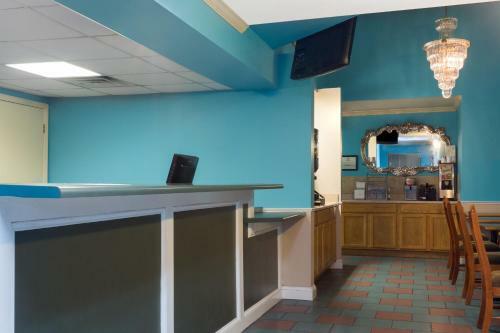 All of the hotel's rooms offer guests convenient amenities such as balconies free local calls microwaves mini-fridges coffeemakers desks and cable TV with premium channels. 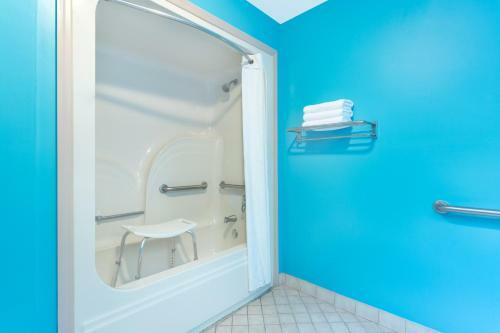 Non-smoking accommodations and high-speed internet access are available. 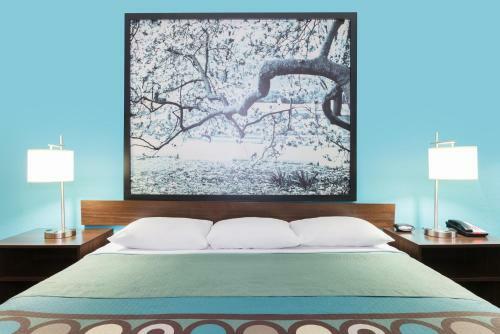 A complimentary breakfast buffet is served daily featuring fruit cereals pastries and beverages; and room service is available during limited hours. The outdoor pool is open seasonally and great for cooling off and relaxing during the summer months. 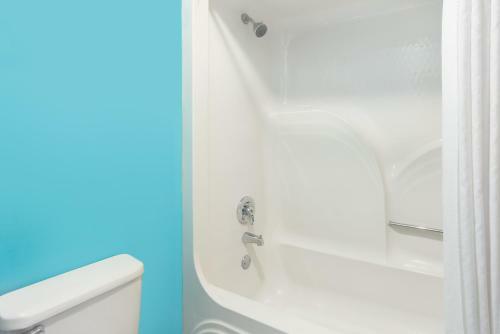 Coin-operated laundry facilities are available on-site. 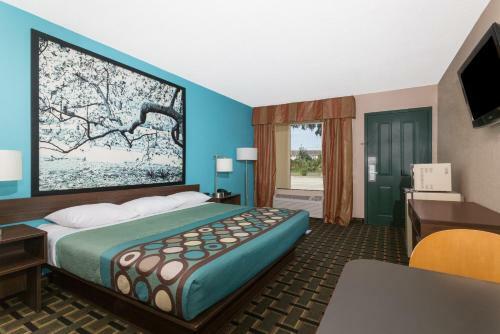 The Super 8 is situated south of Highway 17 and a half-mile from I-95. 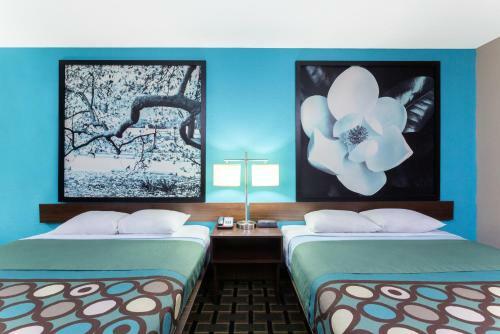 It places guests 10 miles from the art galleries in downtown Brunswick and less than 15 minutes west of Jekyll Island State Park where guests can explore the wildlife and enjoy family fun at Summer Waves Waterpark. 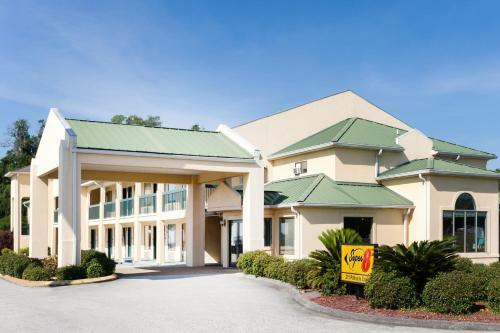 The hotel is also less than 12 miles from Brunswick Golden Isles Airport and 14 from Jekyll Island Airport. 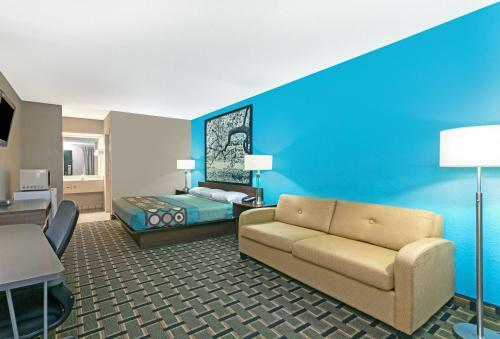 Add Super 8 By Wyndham Brunswick/south to your free online travel itinerary.